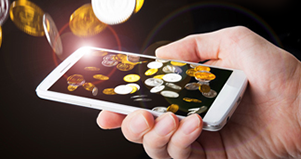 Singapore-based TSLC Pte Ltd, a fin-tech company promoted by serial entrepreneur and private equity investor V Raman Kumar, has launched its new mobile App-based lending platform- CASHe, in India. The financial service start-up that provides users a personalised experience to borrow cash any time, anywhere within minutes, is one of the most ambitious technology venture of Kumar and he says the concept is going to be a real game changer in India, where its targeted millennial customer segment is huge. 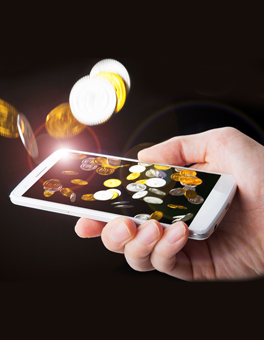 CASHe, a new smart phone platform, will be providing immediate cash loans to young professionals based on their social profile, merit and earning potential using its proprietary algorithms and machine learning. The operational model of this emergency borrowing app is simple. By providing basic information on a smart phone, professionals can avail of - within minutes - a convenient 15-day loan for a one-time processing fee with no other hidden costs and cumbersome paper work. CASHe?s target clients are young professionals between 20-35 years old. Upon confirming eligibility, these employed individuals can avail of a loan of up to 40 per cent of their monthly income instantaneously at a rate of interest on par with credit cards. ?This is the ideal platform for consumers to take control of their short term finances?, said V. Raman Kumar, chairman of TSLC in an interview with BW Businessworld. ?Today?s young professionals have different aspirations and needs not very well addressed by the present banking system. We are simplifying their borrowing experience with CASHe," Kumar added in a Thursday interview. According to Kumar, all CASHe loans will be disbursed by One Capitall Ltd, an RBI registered non-banking financial company (NBFC) within the group, to comply with the current banking norms in India. The tech-based lending start-up will have an initial fund of about Rs 125 crore for loan disbursal. "We will start with a maximum loan of Rs 50,000 and it may go up to Rs 1 lakh over a period of time," he said. The company says its interest rate is competitive in the market and may be even lower for quality customers as its other main focus is to create and expand that quality customer base and their loyalty to graduate its offerings to other value added financial products. CASHe uses sophisticated proprietary technology that mines the borrowers? social network and requests basic documentation to arrive at a? Social Loan Quotient? (SLQ) and a loan eligibility amount. Using multiple unique data points to arrive at a distinct credit profile for the customer, It will also transform traditional credit measurements, providing financial inclusion to under-served young professionals who are kept out by traditional credit rating and banking systems. Kumar says, in a smart digital world, CASHe offers millennials quick and easy personal loans through processes that are transparent, innovative and tuned to the times. "CASHe utilises sophisticated algorithms and machine learning capabilities to deliver an amazing and improved lending experience to our customers, thereby helping young professionals achieve their financial goals effortlessly. CASHe is currently India's only cash giving app that offers instant transfer of funds for approved applicants.The emergency lending start-up also has eminent people on its advisory board comprises of former deputy governor of RBI and director IMF, Rakesh Mohan, tech thought leader Yezdi Lashkari and noted marketing guru and media personality Suhel Seth.